SPECIAL INDUSTRY BUSTING POLICY: After the first month we PRO-RATE BACK YOUR MONEY FOR UNUSED DAYS when you leave! An A-1 customer said in a review "they really work with you and are kind". Wow, what a refreshing comment to hear in this bottom line, sometime ruthless, corporate structured self storage world. We only charge you for the days you use. Why pay for a whole month when you only used a portion after the 1st month? No advance notice of move-out is required! Reserve a unit for up to 1 week but please check on availability by speaking to the A-1 manager. He will confirm your request since inventory changes daily. NO set-up fees, NO administration fees, NO deposit required & NO reservation fees. 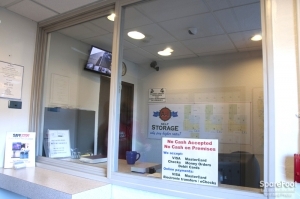 We have car storage, mailboxes, security camera system, intercom system, free use of carts & elevator access. Open 7 days a week, except New Years Day, July 4th, Labor Day, Thanksgiving & Christmas. 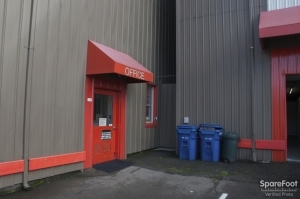 Located 1/2 mile south of Ballard Bridge and exactly across the street from U-Haul truck rental center (Interbay Golf Center behind) at 2648 15th Ave. West. SO WHY PAY HIGHER RATES? Paul helped us into our unit on move in day. We werenât sure how much space we would need, so we reserved the largest unit available. Paul helped us figure out how much space we would actually use and saved us a lot of money! 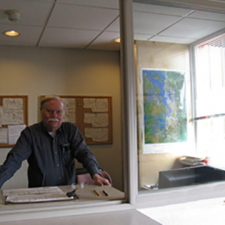 He was very friendly and knowledgeable and takes a lot of pride in doing a good job. Good enough to store your stuff! Excellent customer service. Storage is pretty good. Reasonably stable temperature inside. Great customer service, pricing is good, the only thing is some of their units are a bit dirty. It's not too big of a deal though, depending on what you're planning on storing. The manager was very friendly and helpful! The customer service is top notch here. 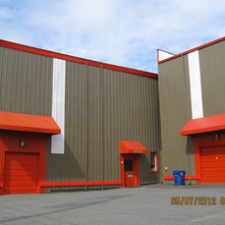 Great storage, affordable storage rates and definitely friendly and helpful costumer service. Went out of way to help! Shawn went out of his way to accommodate my special situation. I couldn't be more appreciative of the customer service provided. Friendly staff, convenient access, great price! Friendly staff, convenient access, great price - thanks! Friendly staff and great price for the area. Thanks! I store my hobby items in it and it's perfect for my needs. Convenient hours and access. That really means a lot to me and goes a long way when I am moving and have a lot on my mind. Very amazing custmer service i felt very welcomed and safe. I would Deffently tell other people about this very amazing garneteed safe place with awsome positive customer service. gets the job done. standard storage facility. The mazed enclosure on the floor where my locker was was puzzling. Easy-to-use, no frills, works for us! We needed hobby and costume storage in a convenient location and that's what we got. Simple, quick, efficient. Love it. This was my second time using A-1. The first was several years ago. I was pleased the first time, and my return was even better. I reserved the unit online and received a call the same day. Due to some changing circumstances, I didn't call until a week later and they still had it held for me. Quick check in. Be aware it is not 24 hrs thigh. More storage space than I had been led to belief I was getting, which was nice. Awesome location for an affordable price! Great employees, convenient location, and a decent price all make for a fantastic facility! Helpful staff, clean and easy access, sort of limited parking, but has yet to present a problem. Well satisfied with this business. Great location environment is clean staff makes it nice comfortable. Good thing: It is cheap. The cheapest Bad thing: This place was built on 1907 or something like that. It has an elevator that I only have seen those kinds in the horror movies. First thing that came to mind was wishing that this building do not collapse, so that I don't loss my items. Even if I hear about the news of collapse of this building, I won't be too surprised. 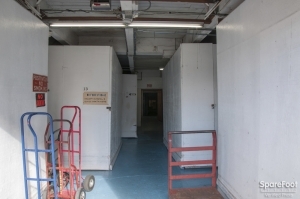 Older building, units are big (8 feet high) so there is a lot of space with a smaller unit. Overall happy with the place. Great place to store college stuff for the summer! 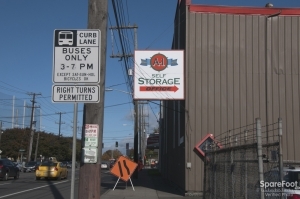 A-1 Self Storage provided me with a great experience. It was fast and easy to move my stuff into the unit, and the manager working on site is very friendly and helpful. I would recommend this place to any college student looking to store their stuff over the summer. Great prices! The manager of t his facility got us checked in with the minimum of drama and set up with our storage space so we could get our stuff moved in without problems. The fast and friendly service was extremely welcome at the end of a fairly stressful day. We would be happy to recommend this facility to anyone. Great price, service and space. This spot is a great deal for storage. The security that they have is good, whenever the facility is open there is a real, live person on duty. The price is right too and Paul provided great customer service. I would recommend this spot for storage. We used Sparefoot to find A1 storage which was conveniently located for us to move some of our extra stuff from our place in Queen Anne. The service was great and we were able to move our stuff in quickly thanks to the moving equipment and large elevator. 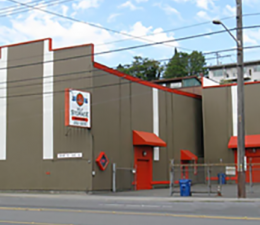 I would definitely recommend this location to anyone looking for an affordable and easy storage unit in Seattle! Friendly service, easy sign-up process, clean facility. Very convenient to Queen Anne and Magnolia. The facility was neat and clean. Easily reserved a unit. Had to postpone move in and it was no problem. Facility is old but very clean. Great customer service. Great experience, easy, fast and friendly service! Using the sparefoot.com website was easy and quick. The facility manager was friendly and very helpful, plus the price was great! Overall an great experience. Great location and good pricing. Customer service is excellent. The only inconvenience is the freight elevator that requires manual closing of the gates each use. Also, the hallways are a bit narrow. Great staff, great location, reasonable pricing. The ease of location(across the street from U-Haul and still inner city made my move and storage a breeze. The staff was great and helpful. Easy access, helpful attendant, competitive pricing, adequate security. Nice variety of sizes. The hours work for me. Very old building. Floors unevening, makes moving harder. Wooden doors which can be easily broken into... Elevator not safe, old and hard to use. Not enough ground units, had to get 3rd floor, logistics of the building costs us extra time. Would not recommend for others. The units are divided up with plywood, and while I feel my belongings are secure I wouldn't put any expensive belongings in the unit without a little worry. The price is fair, and the hours are very reasonable. And additionally there is an elevator so no worries if you get stuck on the second or third floors. Decent unit. I moved in very quickly. I don't like the hours. Very easy set up and very clean. Staff was super nice and helpful. 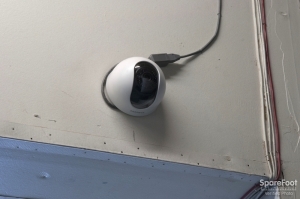 Have been a few times to put stuff in storage and getting in and out is very secure and easy. Simple, and effective move in. The Staff where personable, and the car I put on their lot felt secure behind the fence and facility they have. I know they watch every person who goes in and out and I like the location. I felt it was a good choice. Easy. questions were answered.no problems, at site just with driving into parking area. I had little money for a storage unit a couple months ago so I found A-1 to be my best deal in town($65). 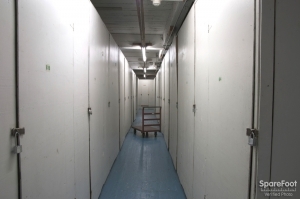 Compared to other storage spaces I've looked at A-1 is dim, old and absolutely freezing cold. Very little light in the hallways and a rickety old unit door that need to be kicked hard to fit back in place. The unit itself is fine. It gets the job done. Staff is helpful, if a little overly animated, telling numerous off-color jokes and random stories during the paperwork process. Guy from a1 storage showed great customer service and patience with showing around the storage units. Excellent place to keep ypur things. This is one of the most low kye yet secure storages i have found. its low budget but works for the job great. I love it. Good experience. Very friendly and courteous employee. 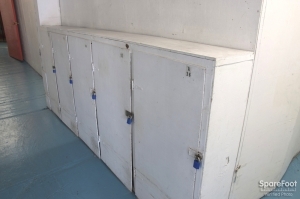 The storage lockers are wodden and easy to break into. 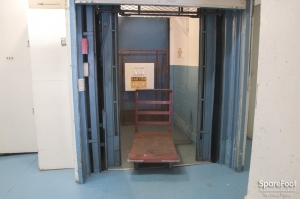 The stair are WAY too steep, the freight elevator is run down and navigating around the facility is VERY difficult. It's like a haunted house maze. It gives me the creeps to come here and refuse to go alone. The lockers are wooden and it's dark, but for the price you can't go wrong. 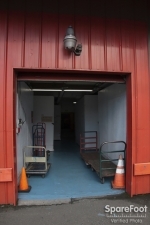 Depending on the location of your storage locker, it can be a hassle to get to. Very nice employees -- helpful, considerate. Building/units are older, but clean and well maintained. Very helpful staff and I feel it is very secure. especially since my daughter, my x and my homeless brother Tommy had units there as do I now. The prices are reasonable Tommy had a unit there for years. Bless his life. THE most intelligent storage in jet city. We have three units (can't let it go, you know) - everything that wont fit on the boat, and our confidence in the staff and facility couldn't be more certain. We love this place! I use A1 to store equipment for the soccer club my kids play for in Seattle. Every time I stop Paul and/or Richard are extremely helpful. I was so impressed that I ended up renting space for my own use. Paul was right there to help me select the size and location. Paperwork was a breeze. I have been a satisfied customer for more than a decade. Ernie was a great guy who was very kind to me and my daughter. We always enjoyed visiting with him. Paul and Richard are terrific guys. Always pleasant and willing to go above and beyond the usual level of customer service! Richard and Paul were very helpful in arranging for a storage unit for me. Outstanding customer service skills! I moved to Seattle from out of town so the extra help they gave in picking out a good unit was much appreciated. Friendly staff and reasonable prices!! Found a great storage unit for a reasonable monthly price (even better when considering the second month is free). Staff is very friendly and the location is convenient on 15th Avenue West. And I can manage my account online. This is a well-run business in an older building. If you don't need state of the art then don't believe there is a better storage value inside the city. The people who run the storage facility are incredibly helpful, and the value is incredible, especially if you can get a unit that has the second month free. I just wish that the facility stayed open a bit later during the day and on weekends. Otherwise, the managers are great, the paperwork is kept down to a minimum, and the location is pretty easy to access. the best prices with comopassionate propieters! brother had unit there until he passed, and letting me(sister) empty out unit as I can. I also have a unit here. My daughter had a unit here, and my X had a unit here after our divorce. Recomend this place to anyone in need of storing their belongings!